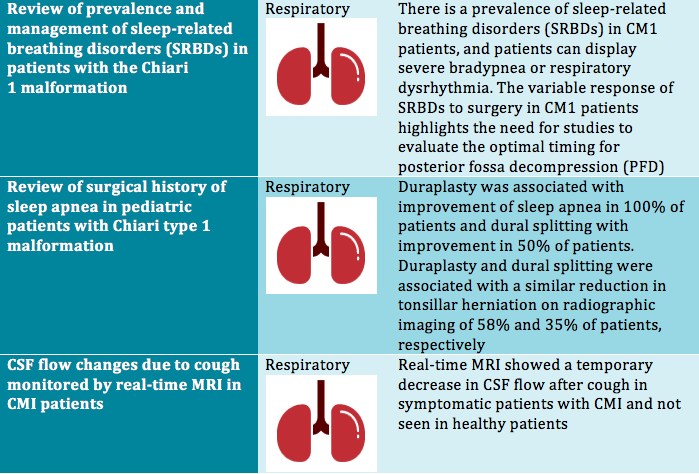 Medical Resources and Research Citations for men, women, and children living with Syringomyelia & Chiari. Resources found here are for medical professionals, members, caregivers, and family members. Please note: This page is still undergoing development as we continue to add information. Specifically the citation section is currently underway. For now please enjoy the resources we have available. WSCTF would like to include links to relevant research articles on PubMed published in the last 5 years to serve as a useful aid in understanding the complexity of Syringomyelia and Chiari Malformation for medical professionals and our members. All research articles on the PMC site are subject to copyright. Please take time to review the copyright policy on PubMed click here. ​​Please note: "PubMed Central (PMC) is a free archive of biomedical and life sciences journal literature at the U.S. National Institutes of Health's National Library of Medicine (NIH/NLM)." --defined by the U.S. National Institutes of Health's National Library of Medicine. ​AARP- offers resources to caregivers and offers a resource center. ​Christopher & Dana Reeve Foundation-offers free services and caregiver support. ​Caregiver Action Network-offers multiple services for caregivers of those who are chronically ill.
​Well Spouse-supports spouses or partners of those who are disabled or chronically ill.
​National Caregivers Library-great source of free information for caregivers. ​National Respite Coalition Network-helps parents, caregivers, and professionals get a break using respite services in their local area. ​IDEA Partnership-a collaboration of over 50 national organizations working to improve educational outcomes for youth and children with disabilities. ​Office of Special Education and Rehabilitative Services (OSERS)-a division of the US Department of Education serves children, youth, and families with disabilities. ​Going to College-provides resources for high school students going to college with disabilities. ​​Rare Disease Report -excellent resource for the latest news and conference information. Publishes articles written by leaders in the rare disease community and publishes a resource guide for physicians and nurses. ​Please note: "PubMed Central (PMC) is a free archive of biomedical and life sciences journal literature at the U.S. National Institutes of Health's National Library of Medicine (NIH/NLM)." --defined by the U.S. National Institutes of Health's National Library of Medicine. 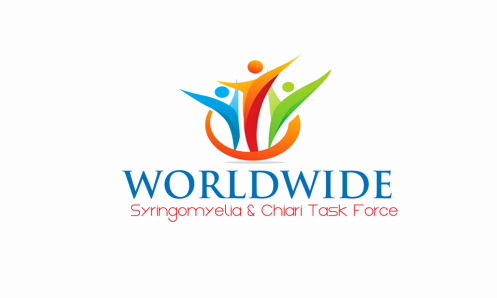 WSCTF would like to include links to relevant research articles on PubMed published in the last 5 years to serve as a useful aid in understanding the complexity of Syringomyelia and Chiari Malformation for medical professionals and our members. All research articles on the PMC site are subject to copyright...please take time to review the copyright policy on PubMed click here. 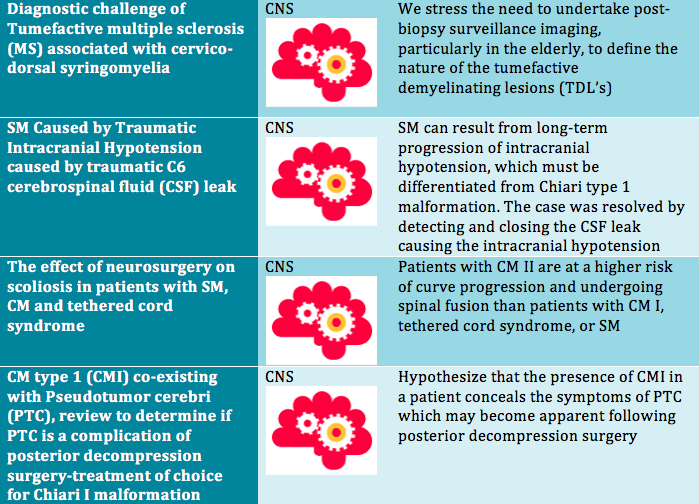 Response to "Syringomyelia secondary to 'occult' dorsal arachnoid webs: Report of two cases with review of literature" by Sayal et al. 2016 Jul-Sep; 7 (3): 189. 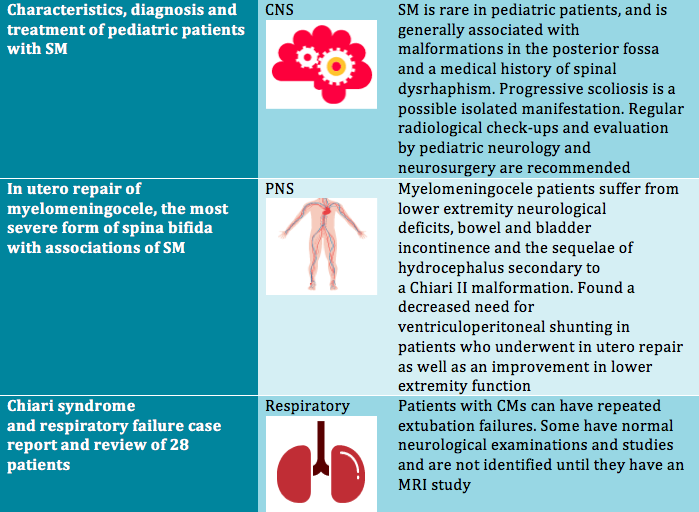 Richard S, Humbertjean L, Mione G, Braun M, Schmitt E, Colnat-Coulbois S.
​Intraspinal Pathology Associated with Pediatric Scoliosis: A Ten-Year Review Analyzing the Effect of Neurosurgery on Scoliosis Curve Progression. ​Spine (Phila Pa 1976) 2016 Mar 8. 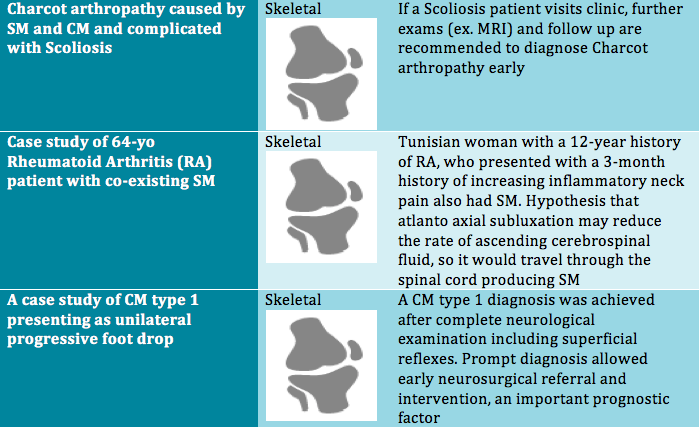 ​Symptomatic arrhythmias due to Syringomyelia-induced severe autonomic dysfunction. ​Total gastrectomy for rare refractory gastroporesis in patient with Syringomyelia; A good impact on quality of life. ​Ann Med Surg (Lond) 2015 Oct 30; 4 (4): 444​-7.